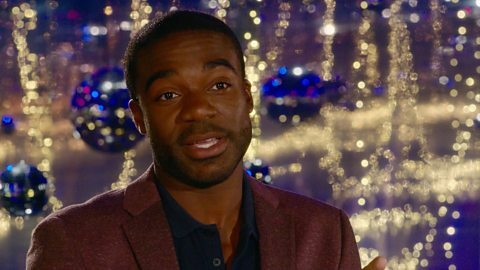 His knowledge of the sporting world knows no bounds, but dancing is a whole new ball game – is presenter Ore Oduba up to the challenge? "I've been wanting to do this for more than 20 years!" Doesn't everyone want to get to Blackpool? I've lived in the North West for five years and never been. I've got a box of 2ps and 1ps I'd like to get rid of! "When I got the call I became a jibbering mess," says Ore. "I'm more competitive with myself than anyone else. Always strive for perfection, even if it's completely unrealistic." Born in London in 1986, Ore grew up in Dorset with his brother and two sisters. He studied Sports Science and Social Science at Loughborough University, landing a gig presenting Newsround shortly after graduating. Jobs hosting Sportsround, Match of the Day: Kickabout and Claimed & Shamed followed, along with the Commonwealth Games in Glasgow and the Youth Olympics in Nanjing. He’ll be coming straight to Strictly following his stint in Rio reporting on the 2016 Olympics. Hopefully being around such amazing sporting prowess will get him in the right mindset, but he’s also taking his lead from a specific Olympian: "Louis Smith had his moments and critical comments, but came out on top. I'm also perfecting my handstand splits on my glittering orb at home!" As a former hockey player and a keen skiier, Ore’s pretty active. But it’s not the physical challenge of Strictly that’s lured him to take part – it’s the wardrobe! Ore Oduba and Joanne Clifton Foxtrot to ‘Pure Imagination’ from Charlie and the Chocolate Factory.